Tickets: This event is free, but please register onlineto reserve your space. 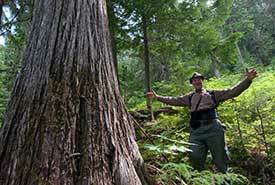 Ten years ago, the Nature Conservancy of Canada (NCC) acquired Darkwoods from a German duke who had held it as a Cold War refuge since the 1960s. Protected from large-scale development for all those years, many wild creatures thrived in the duke’s refuge.